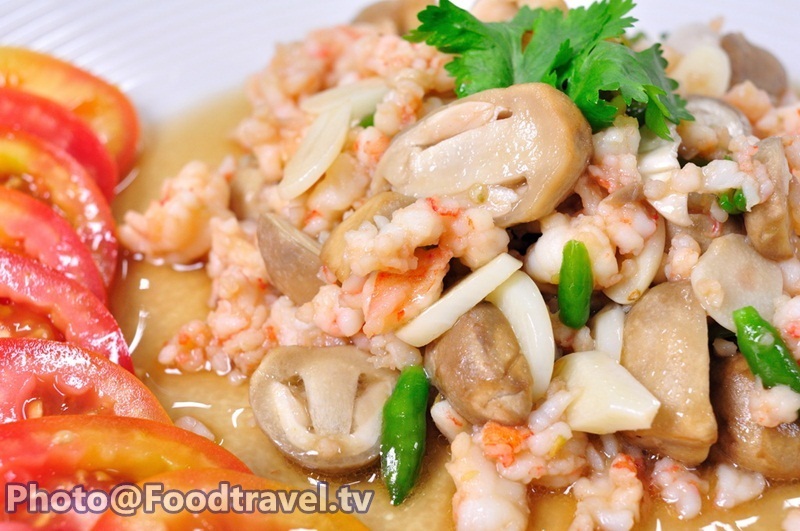 Stirred Fried Shrimp with Hot Chilli - Fried fresh minced shrimp with hot chilli and garlic, and add more delicious with straw mushroom. What a great easy side dish to eat with hot steamed rice! 1. Chop garlic and cut half chilli, mushroom, and chop shrimp not too finely. Set aside. 2. Fry chilli, garlic with oil. Add shrimp and fry well together until cooked about 50%. 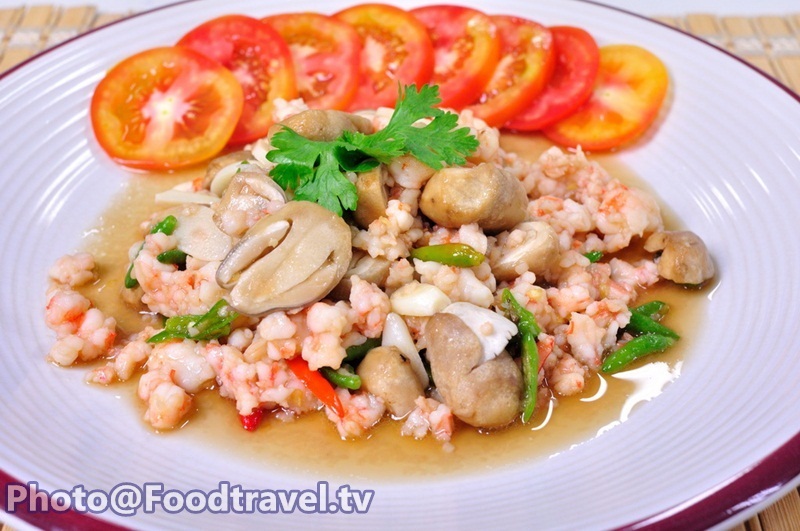 Season with oyster sauce, fish sauce, sugar and pour just a little water. Follow with straw mushrooms. Stir well to combine and ready to serve.